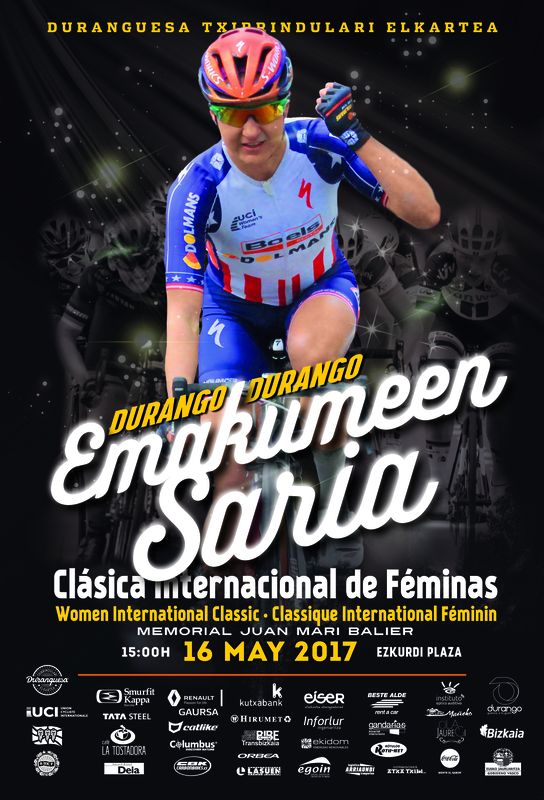 La Duranguesa is a non-profit-making cyclist whose purpose is to promote basic cycling in Durango. It is one of the historical societies of Vizcaya and in its history in addition to containing teams of all categories has organized important races such as the Ascent to Urkiola and the Durango-Durango of females which still organizes. On the other hand, also organizes a juvenile test, the Trophy Tabira, as well as different popular marches and tests and children's activities. Today, in addition to being part of the Durangaldeko Bizikleta Eskola, Duranguesa has a youth team, Bestealde La Tostadora, a sub 23 team, Eiser Inforlur and a professional women's team, Bizkaia Durango. Founded in 1936, in its beginnings they were dedicated to the organization of some cycling tests as well as exits by bike. From 1931 until 2009 he organized the famous professional career Urkiola Igoera / Subida Urkiola, which in the beginning was organized by SC Bilbaina until 1936 and from then until the end of their meeting by the SCDuranguesa. This event has an invidiable palmares taking among the winners of the same cyclists of the stature of Marino Lejarreta, Pedro Delgado, Claudio Chiappucci or Tonny Rominger. The last winner of the event was Igor Anton in 2009. Another facet of this Society has been the promotion of cycling from its base, creating at the beginning of the seventies (1.972), the SCHOOL OF CYCLING. From 1972 to 2013 the Duranguesa counted on its own school, but from 2013 onwards it forms part of a union of Duranguesado schools, forming the Durangaldeko Bizikleta ekola.